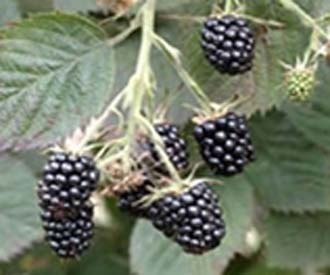 Many people will have fond childhood memories of picking blackberries from wild brambles in hedgerows during the summer holidays. 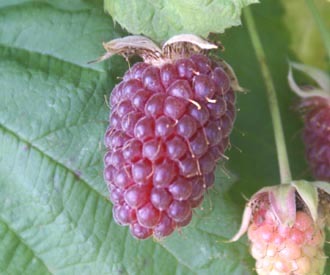 Thankfully, modern cultivated varieties of blackberry no longer have the razor sharp thorns, nor do they grow into vigorous, rampant plants threatening to take over the garden. 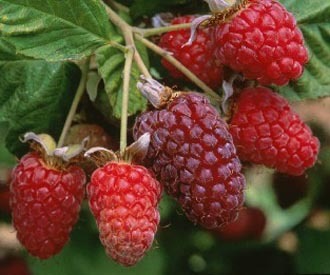 The berries are also much larger, juicier and sweeter - even if they fail to live up to those childhood memories! 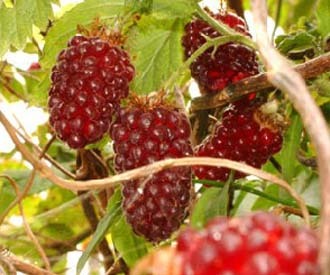 The hybrid berries have been produced by cross breeding blackberries with raspberries. They are dark red in colour and have a very distinct tangy flavour. 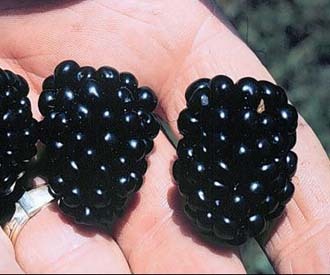 But in most other respects they resemble blackberries. 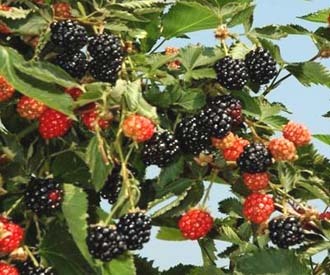 Both blackberries and the hybrid berries are good for eating fresh, use in desserts and make excellent jams. They also freeze well for use in the winter. They can be grown throughout the UK. In fact the mild British summer weather is ideal. Most varieties grow and crop best in full sun but will tolerate partial shade. Although they need a structure of posts and wires for support, once that has been set up they are easy to grow. Click here for a guide to choosing blackberry and hybrid berries. Please find below 10 of the most popular and recommended varieties. We can offer a total of 11 varieties - click here. A mid season thornless blackberry with very large berries. Sweet with excellent flavour. A late ripening thornless blackberry with a long season lasting from mid August until the first autumn frosts. 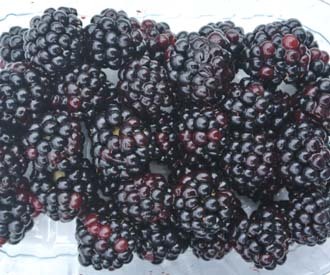 A late season thornless blackberry from Scotland widely grown in the UK. 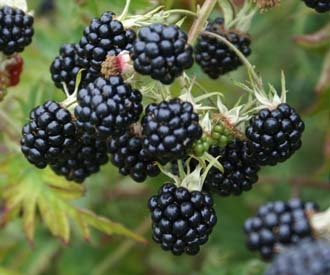 An early season thornless blackberry with short compact canes suitable for small gardens. 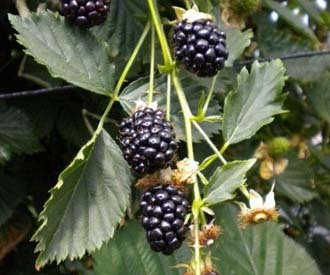 An early ripening thornless blackberry with very large high quality berries. 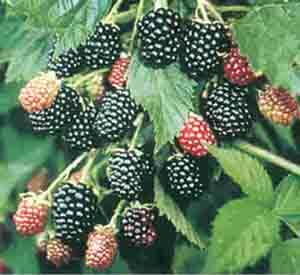 A popular old established variety - the 'original' thornless blackberry. 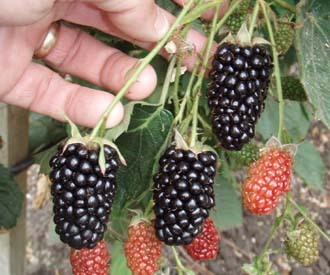 A new mid-season thornless blackberry. 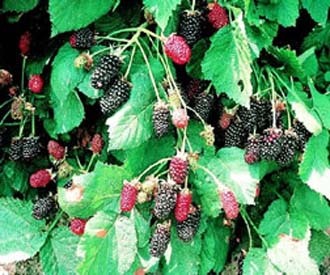 A new thornless blackberry which produces fruit on the current year's canes. A cross between raspberry and blackberry with large dark red fruit and excellent flavour.